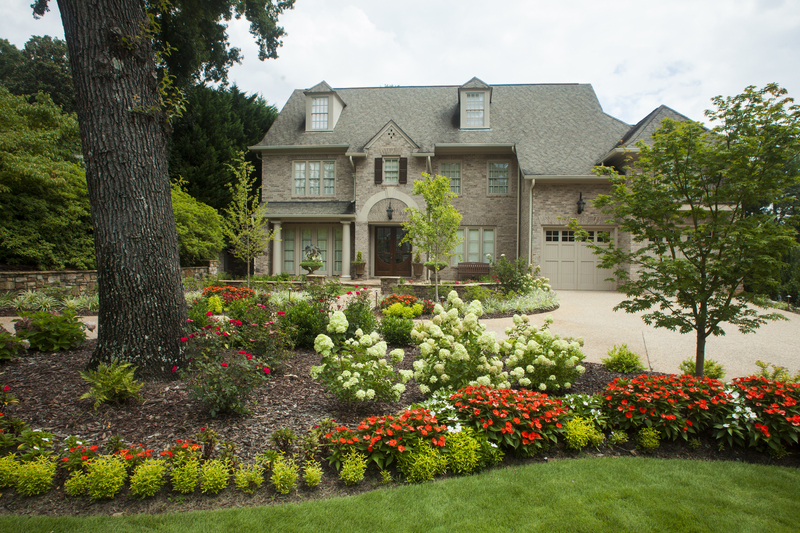 Seasonal and perennial plantings bring a burst of color to the Cook home throughout the year. 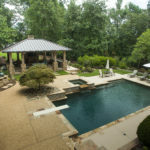 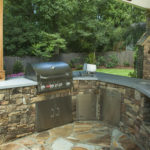 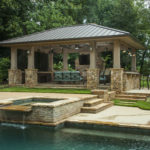 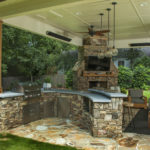 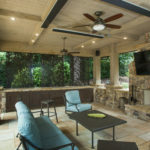 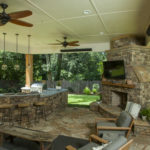 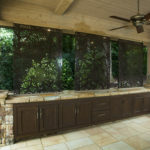 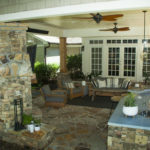 Its pool area features a spacious new entertainment area and outdoor kitchen surrounding a one-of-a-kind pool accented with flatstone walls and waterfall, colorful plantings and plush lawns. 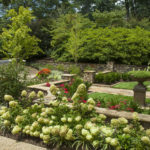 Paved walkways and lush greenspaces invite friends and family to enjoy the Cooke’s warm hospitality in this amazing setting. 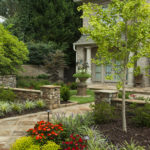 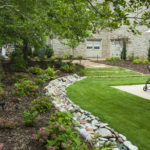 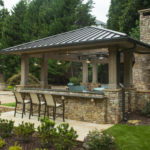 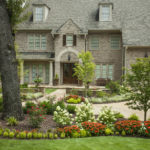 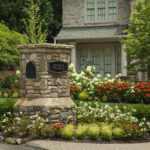 The home features a welcoming new rose garden that, based on before and after photos, is simply hard to have imagined as part of the formal entryway. 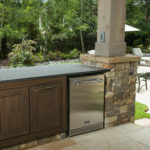 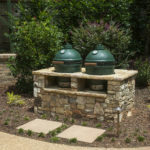 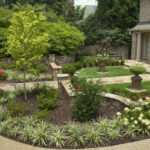 Featuring raised planters and new greenery throughout, the garden area’s enhanced plantings provide year-round pleasure, appreciated by those with finer tastes. 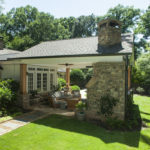 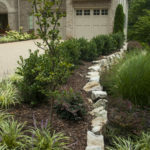 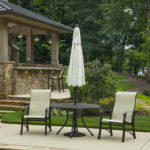 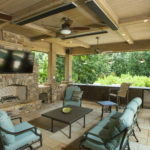 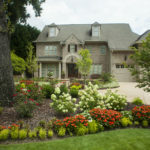 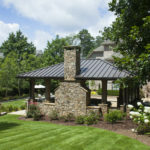 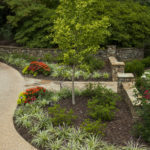 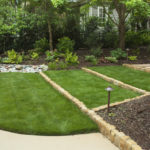 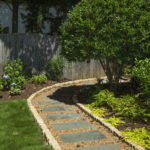 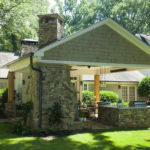 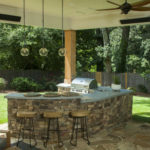 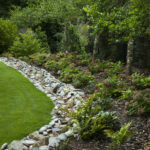 The front pine island features a sturdy oak and colorful seasonal and perennial plantings bring added life to the sandstone exterior of the home. 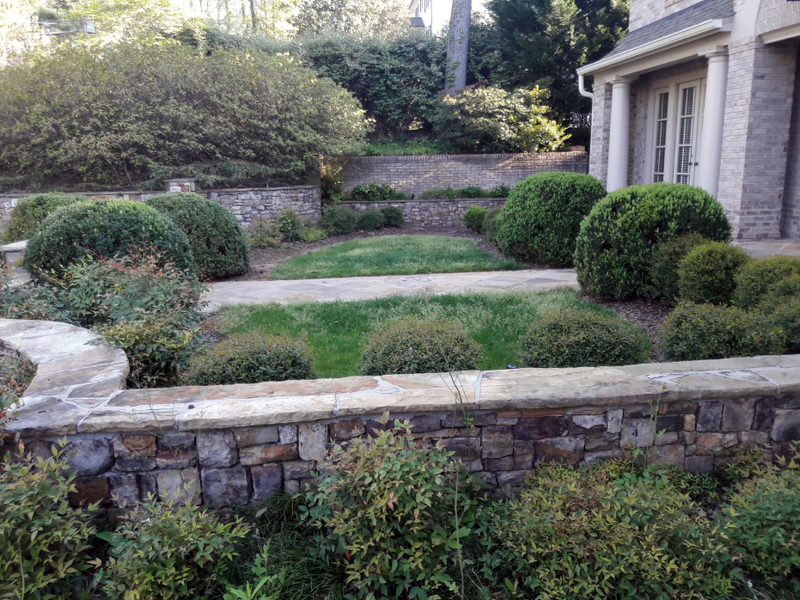 There is truly a stark contrast between “before and after” for both the pool area and the rose garden. 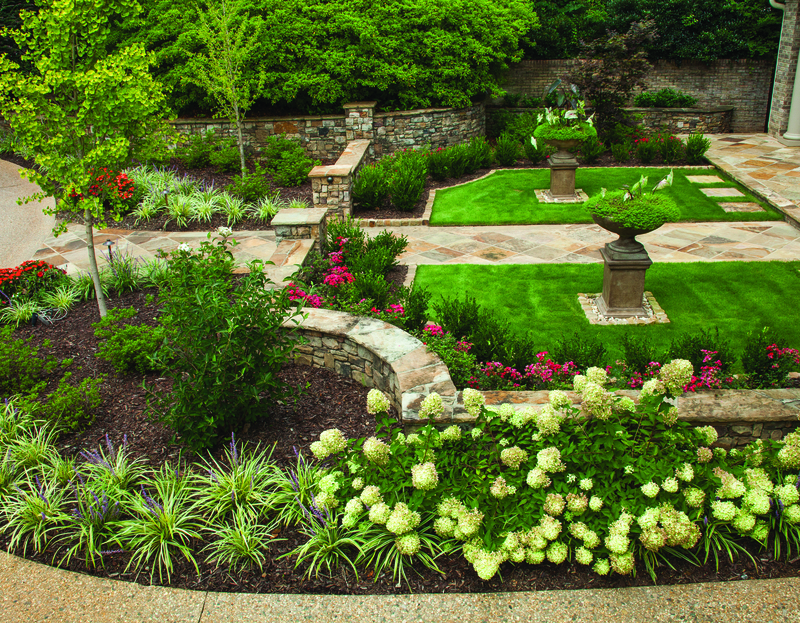 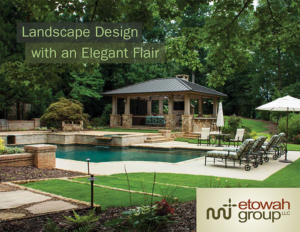 With the attention to detail in the design, construction and installation, this hardscape-landscape project can only be called a masterpiece.